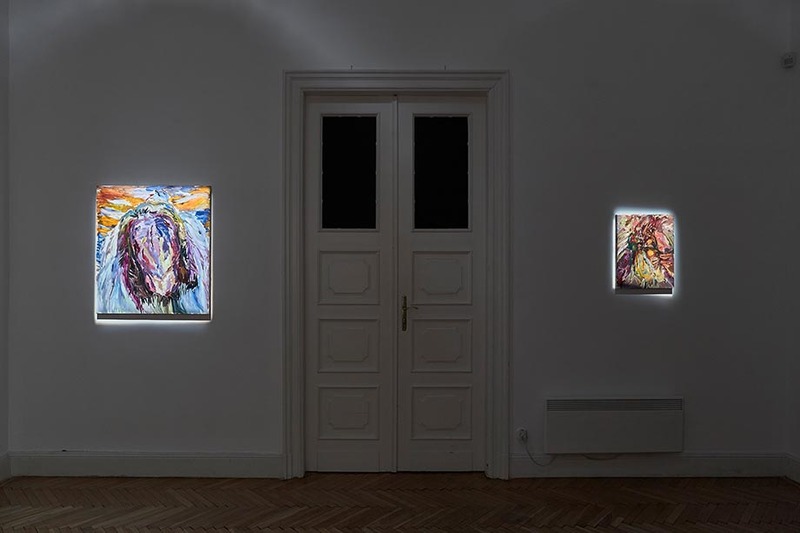 Art+Text Budapest is delighted to present the second solo exhibition of the young painter, Ádám Dallos. 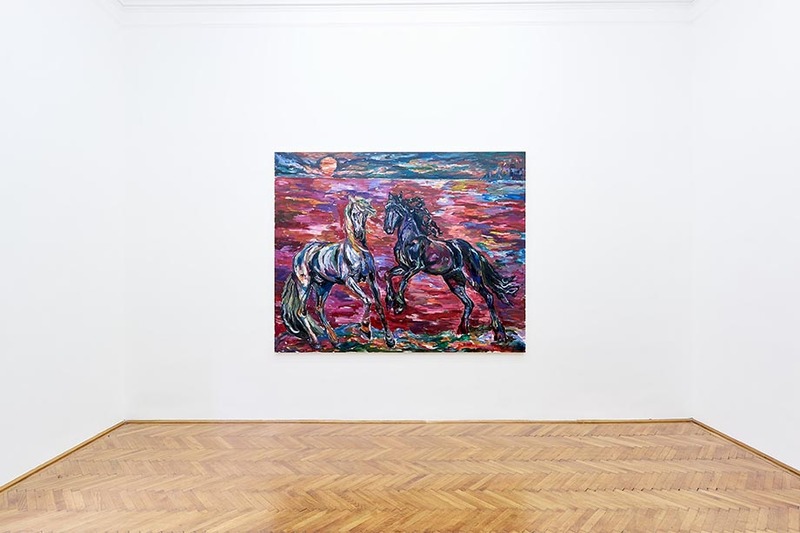 The exhibition titled Sounds from the Shelter presents a selection of dramatic paintings from the series Horses on Riverside alongside with two newer editions of the pink boy nudes from Slaughter Landscapes. Sounds from the riverside, songs from the stable, clatters from the shelter. The mute projections of the inner tornados of the soul, the birth of a new totem animal. 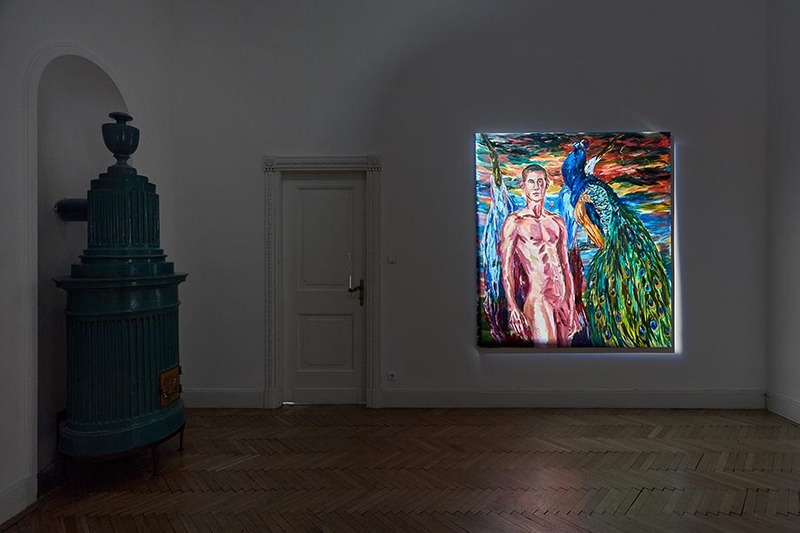 The totem animal of Ádám Dallos's painting (transubstantiating classical motifs with new sensitivity is the eagle that in Greek mythology – as a transformed Zeus – carried Ganymede, the Trojan shepherd away. After the anatomized and outstretched animals filled with masculine beauty in Slaughter Landscapes - the painterly vision of Dallos changed: during Slaughter Landscapes his phraseology got filled with floating light and watercolour-like purity. The prey emerged from the earthy soil and started floating in the transcendent light, in the piety of rose windows. Then, at the end of last year and during his scholarship in Berlin, Dallos – after eagles, peacocks, poultry, big game –found a new „totem animal”: the horse.